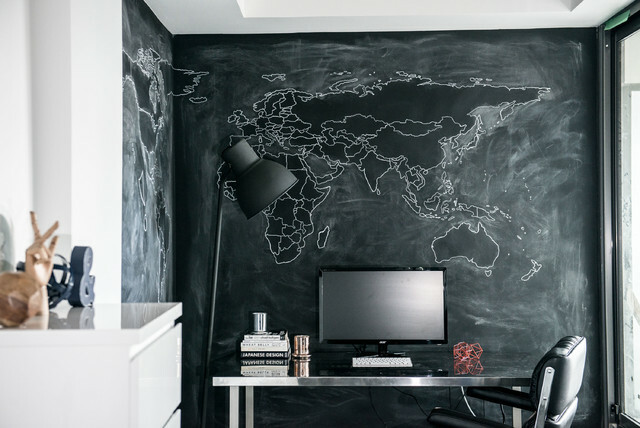 Lux Design created this one of a kind chalkboard wall, to allow the client to mark off all the places he has visited, and also use it to make notes, as this area would be used for his home office. The steel desk along with the black leather office chair, have carried forward the same look as the entry, keeping the overall look consistent in this condo. Can paint an area with chalkboard paint for inspirational moments!